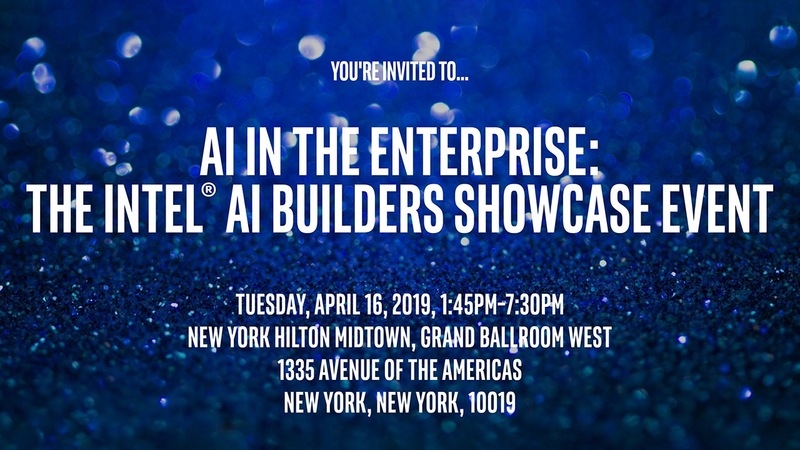 Join us at the Artificial Intelligence Conference in New York to see Intel® AI Builders Partners showcase their solutions on Intel® AI. This event will feature demos across banking and financial services, retail and healthcare, as well as cross-industry AI solutions. Following this showcase, there will be a networking cocktail party. Both the event and party are open to everyone and there is no cost to attend. Learn about the 15 Intel® AI Builders members’ solutions that will be featured at the Showcase. 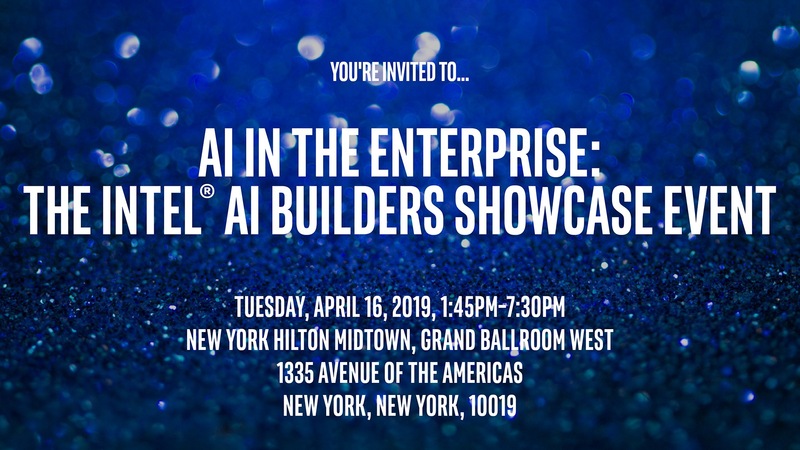 If you plan to buy, or already purchased, a conference pass for O’Reilly NYC, please RSVP for the Intel® AI Builders Showcase by emailing AIBuildersSC@intel.com. Go to https://conferences.oreilly.com/artificial-intelligence/ai-ny/public/register and directly click the yellow “Register now” button at the bottom of the page. 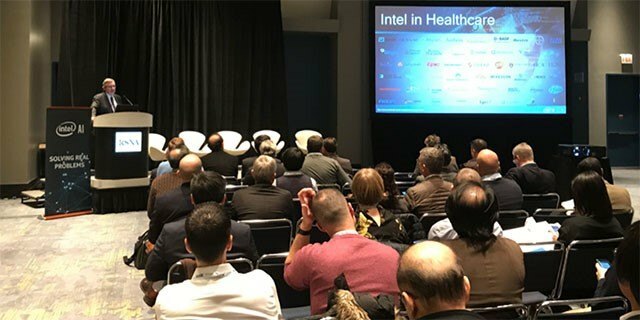 On the following page, select the pass type: Intel® AI Builders Showcase pass (Tuesday) ($795.00). This fee will be waived. Note that the $10 donation is pre-selected to “Yes”. Choose “No” if you do not want to make the donation. Enter the code AIBCP in the discount field to waive the fee.